GROSSE POINTE, Mich. - Demetrius Herndon says all was quiet in the moments leading up to an eruption of gunfire that killed one of his friends and left him with bullet wounds to his shoulder. Herndon, 16, was with four other teens Monday night in a parked car on Detroit's east side at the Grosse Pointe border. Herndon said a man, dressed in all black with a ski mask on, pulled up next to them, got out and flashed a gun in his hand. "We hurried up and turned on the car and we did a U-turn, rode up some grass and hit a tree. Then, he shot the side of the car. He shot the girl in the head, shot Donald in the arm and shot me in my arm," the teen said. The teens drove themselves to Beaumont Hospital in Grosse Pointe, but Paige Stalker, 16, died from her injuries. Herndon was treated and has been released for his injuries. 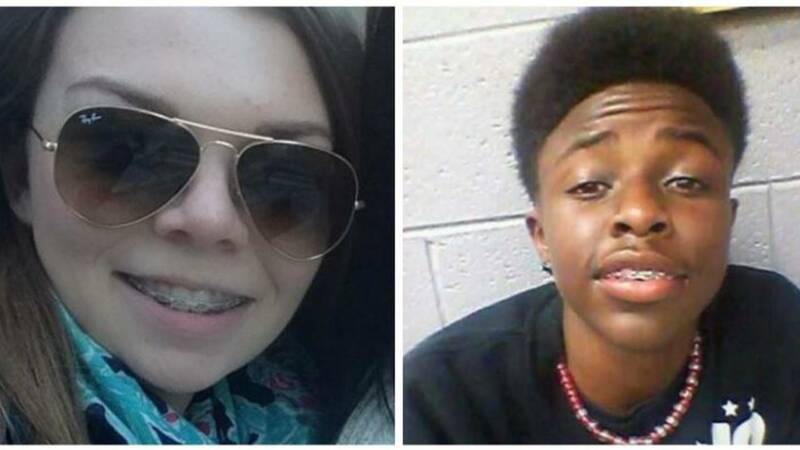 A 16-year-old girl and a 15-year-old boy remain in critical condition. A 17-year-old girl who was also in the car was not hurt. Detroit Police Chief James Craig said investigators received conflicting accounts from survivors about why they were in the Detroit neighborhood, but police are not treating the crime as a shooting random. "We do not believe this was a random attack," Craig said. "We're still working very hard to find out what took place. Candidly, there has been some challenges for us in terms of the accounts of what's taken place. So, we're asking for full cooperation." Herndon admits the teens had stopped to smoke marijuana but maintains the shooting was random, possibly a robbery attempt. A candlelight vigil for Paige Stalker and the other victims was held Tuesday night on the front lawn of the Grosse Pointe Woods City Hall.